After rumors and speculation it is finally here, the shiny piece of iOS software for your iDevices. Tim Cook has just announced the latest version of the Apple’s mobile operating system, it is named as iOS 7 as expected at WWDC 2013. Apple calls it the most significant iOS update since the original iPhone, with a new interface that looks different than what we have right now. iOS 7 introduces a completely redesigned interface with new typography. The screenshots of the new iOS show a flatter icon design, typography changes, thinner lettering and new color palette. You can notice the difference in the lock screen itself, it now features thinner lettering and new lock screen slide. iOS 7 introduces several new features including completely redesigned user interface, the new UI makes use of the entire screen making the phone look bigger than it is actually. Control Center: The new control center allows users to access the important features and essential apps like Clock, Camera, Calculator and Flashlight. It can accessed with a swipe from the bottom of the screen. Switch to Airplane mode, Wi Fi, Bluetooth, adjust screen brightness, and play music all of these can now be accessed from the control center. The Notification center can now be accessed from the lock screen, the new Today feature in Notification Center will give the summary of important details such as weather, traffic, meeting and events. Multitasking: With the improved multitasking users will be able to switch between their apps in a more elegant way. Based on your app usage the OS automatically updates the content of background apps. Developers can now take advantage of the new API to enable multitasking for any app. AirDrop: It is a new way to share files with your contacts, AirDrop shares files between your contacts using peer-to-peer connection and the files are encrypted before transferred for security reasons. You just have to select what you want to share with your contacts and AirDrop will handle the rest. Photos: The camera app in the new iOS 7 has filters to add real-time photo effects to your photos, the Instagram way probably. The app now includes a square camera option with seamless switching between photo, video, square and panorama. Along with the Camera app, the photos app also got improvements, it now includes Moments feature that organizes photos based on time and location. Safari: The uses interface has been redesigned and now the browser makes use of the screen real estate by going full screen. Tabs get a new top down view and the app is not not limited to just eight. iCloud Keychain allows you to save credit card information in the cloud and available on all your devices. Other feature is Safari include the new parental controls. Siri: Siri is now improved with new male and female voices and integrations with Twitter, Wikipedia and Bing search. Apple is distancing from Google, Siri now offers Bing web search from with in the app. Music: The Music app also got a new design, it now included the iTunes Radio announced today along with iOS 7. iTunes radio will play music based on your iTunes library and your listening habits. With iRadio integration you will get previews of songs and you can buy whatever you listen with a single tap. Apple app store now features over 900,000 apps. You can now see the apps near you based on your current location. The app store now comes with a new kids category. 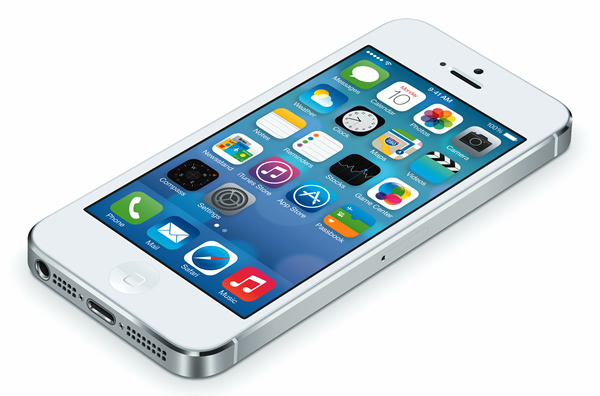 The iOS 7 beta and SDK is now available to iOS developers. The general availability release date not mentioned, but it will be available this fall. 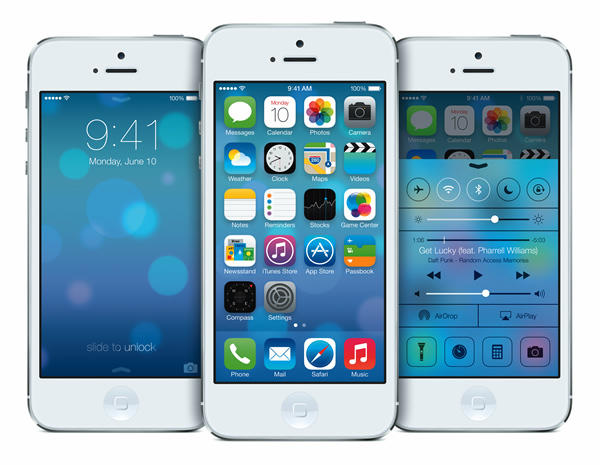 iOS 7 will be available for iPhone 4, iPhone 4S, iPhone 5, iPad 2, iPad 3, iPad Mini and 5th Gen iPod touch. Some features may not be available on all products according to Apple. Currently US English, French and German versions are available and additional languages will be added soon.